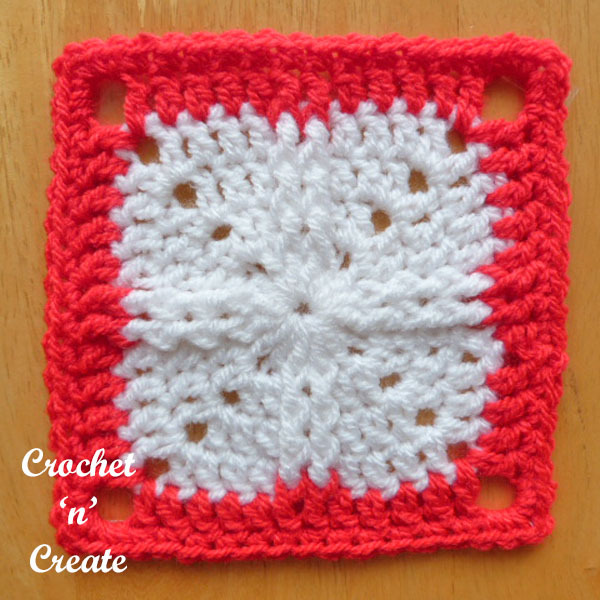 Here is my Afghan square free crochet pattern, it’s been a busy week but finally I have made this simple easy design. 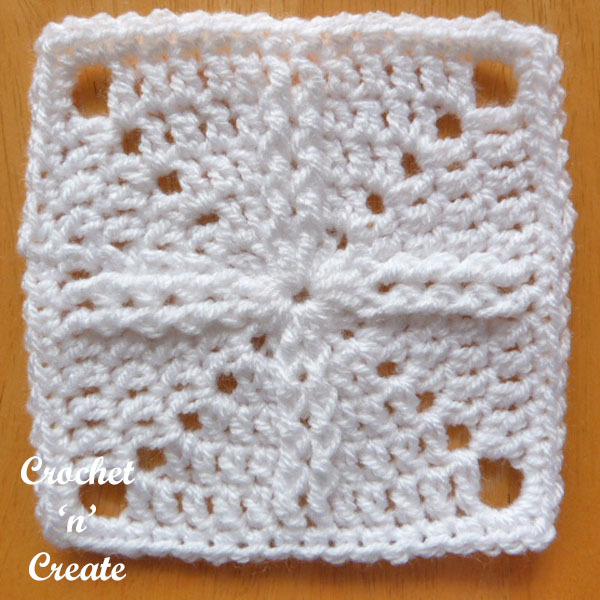 I love the raised stitch effect which gives a lovely textured finish, it’s also super quick to crochet. 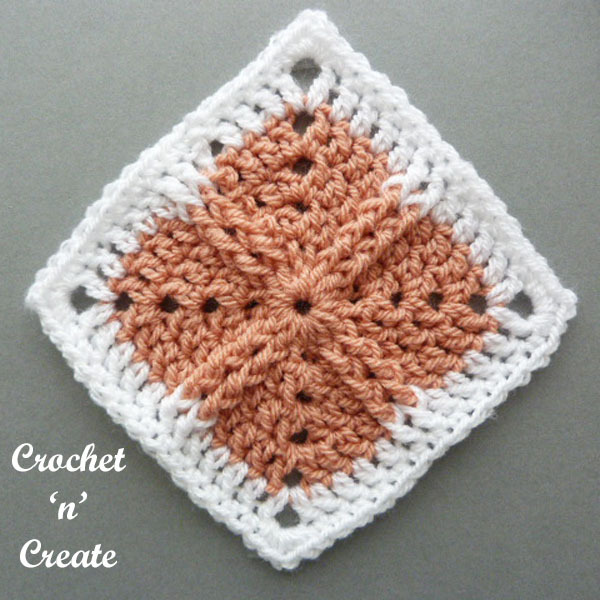 Make several of them and sew together to use for lots of projects, such as cushion covers, blankets, tea cozy’s, placemats, coasters, bags etc. 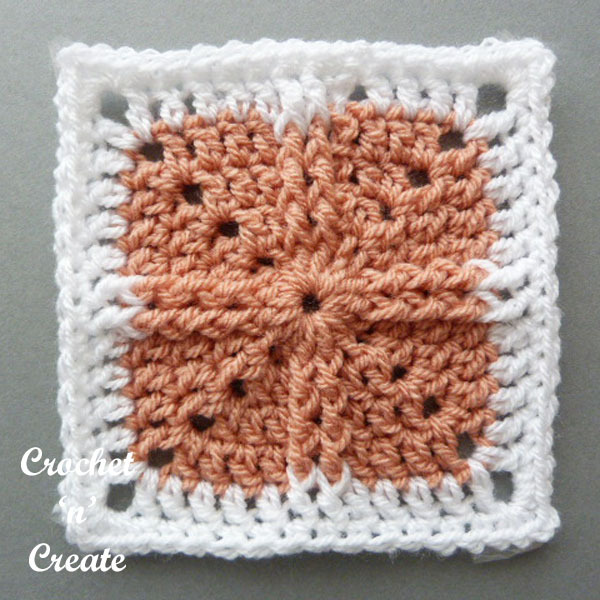 You can if you prefer make the squares in one color. Row 2 – ch3, fpdc loosely around next 2dc (see abbrev) 1dc in next dc, * (1dc, ch2, 1dc) in next ch2 space, 1dc in next dc, fpdc loosely around each of next 2dc, 1dc in next dc, * rpt from * to * to last ch2 space, (1dc, ch2, 1dc) in ch2 space, sl st to top of ch3 on beginning of row. Row 3 – ch3, fpdc loosely around next 2dc, 1dc in each of next 2dc, * (1dc, ch2, 1dc) in next ch2 space, 1dc in each of next 2dc, fpdc loosely around each of next 2dc, 1dc in each of next 2dc, * rpt from * to * to last ch2 space, (1dc, ch2, 1dc) in ch2 space, 1dc in next dc, sl st to top of ch3 on beginning of row. Row 4 – ch3, fpdc loosely around next 2dc, 1dc in each of next 3dc, * (1dc, ch2, 1dc) in next ch2 space, 1dc in each of next 3dc, fpdc loosely around each of next 2dc, 1dc in each of next 3dc, * rpt from * to * to last ch2 space, (1dc, ch2, 1dc) in ch2 space, 1dc in each of next 2dc, sl st to top of ch3 on beginning of row. Fasten off. Row 5 – ch3, fpdc loosely around next 2dc, 1dc in each of next 4dc, * (1dc, ch4, 1dc) in next ch2 space, 1dc in each of next 4dc, fpdc loosely around each of next 2dc, 1dc in each of next 4dc, * rpt from * to * to last ch2 space, (1dc, ch4, 1dc) in ch2 space, 1dc in next each of next 3dc, sl st to top of ch3 on beginning of row. Row 6 – ch1, 1sc in base of ch1, 1sc in each of next 7dc, * (2sc, ch2, 2sc) in next ch2 space, 1sc in each of next 12dc, * rpt from * to * to last ch2 space, (2sc, ch2, 2sc) in last ch2 space, 1sc in each of last 4dc, sl st to first sc on beginning of row. Fasten off. Finishing – Weave in all loose ends and trim. 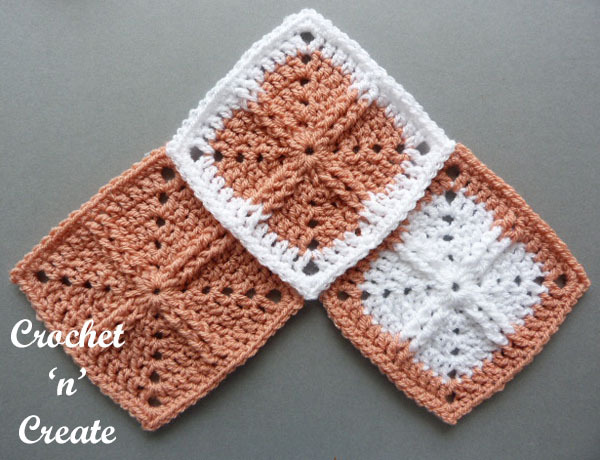 Hope you make lots of fun things with the afghan square. If you wish to print only the text of the afghan square motif, select the content you want to print, click file (top left corner on browser), then print, this should take you to your printer settings, choose selection and then OK. 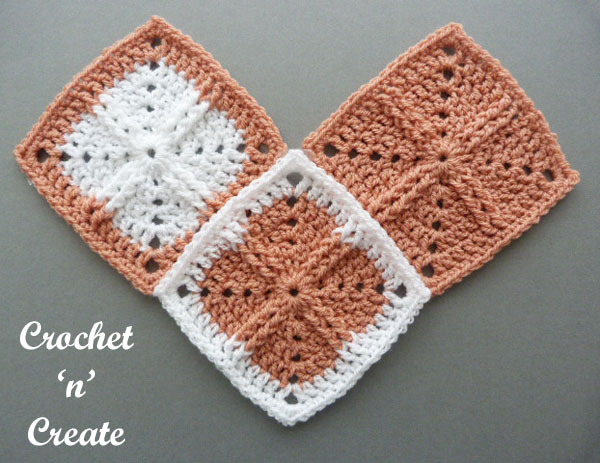 The written instruction and pictures for this pattern are copyrighted to crochet ‘n’ create. 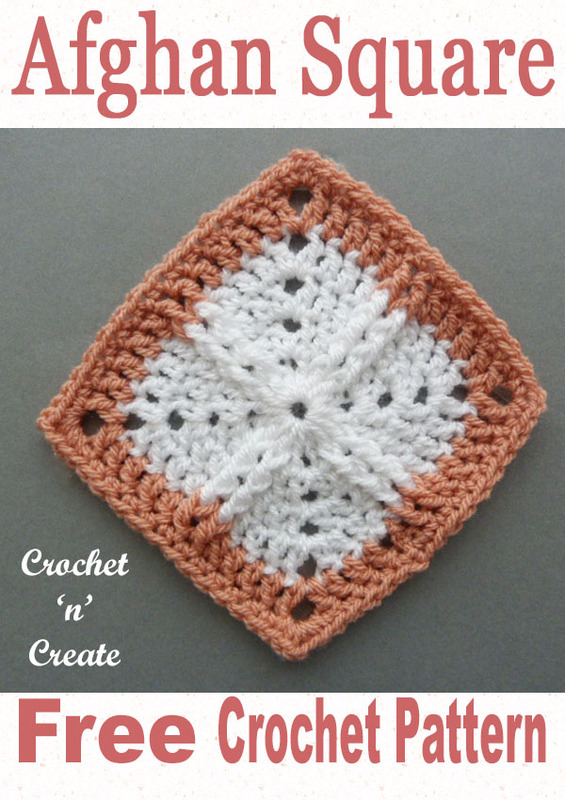 You are welcome to sell the finished products made from this free crochet afghan square pattern, I just ask that you put a link back to crochet ‘n’ create. 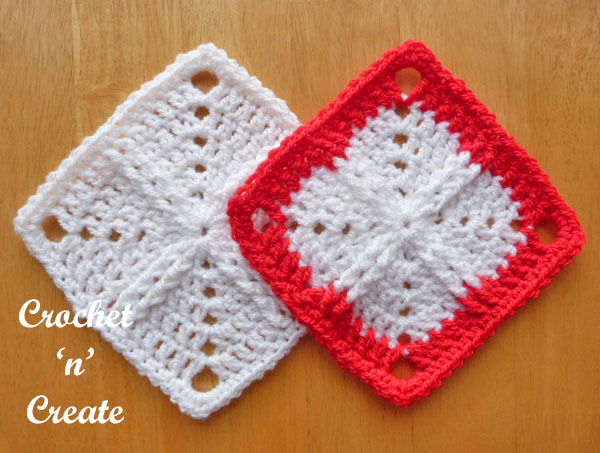 This entry was posted in crochet blanket, free crochet patterns, Home and tagged crochet, crochet blanket, crochet granny square, free crochet patterns on 1st February 2017 by crochetncreate. 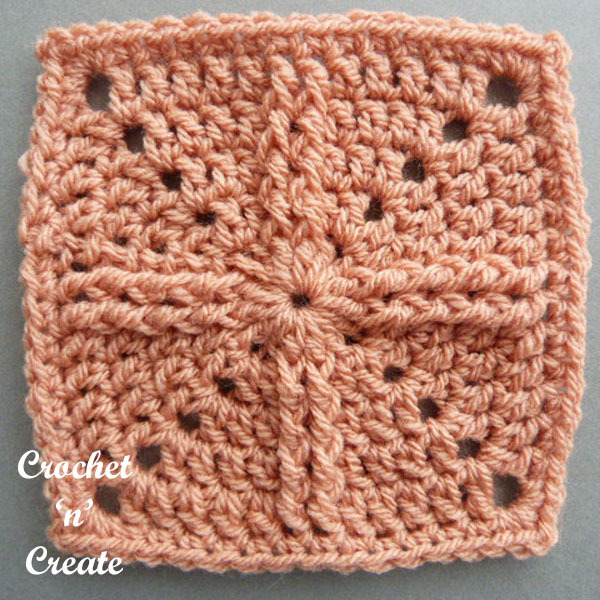 Thank you so much, this is a beautiful square. I just love to add the fpdc stitch It just adds to the beauty. You’re more than welcome Louise, glad you like it.